I was surprised to see my thoughts largely echoed the other day in an article in Salon, Time To Give Up On Identity Politics: It’s Dragging the Progressive Agenda Down, by Anis Shavani. Interestingly, Shavini comes at his critique of modern progressive politics from the standpoint of a person who has embraced classical Marxism. As a threshold matter, Shivani gets some things in his article very wrong. He credits Trump’s victory to the rise of a white nationalist movement rather than people voting their pocketbooks and dissatisfaction with eight years of Obama’s failed policies. Shivani further implies that all white Trump voters somehow woke up to their inner racist in 2016 and he uses Richard Spencer, leader of a movement that numbers in the hundreds at most, as being an exemplar of the millions of Trump voters. Shivani posits that progressive identity politics has caused that awakening. Of all the sins of progressive identity politics, that might be the only one of which it is not currently guilty, though that may one day change. Shivani’s screed is outlandish libel of the worst sort — or to put it another way, it is exactly the type of drivel one would expect to find in Salon. But for all Shivani gets wrong about non-progressives in this country, his criticism of what has become of the progressive movement in this country is quite honest and, in several instances, insightful. We were proud inheritors of the Enlightenment: That was the intellectual legacy we had to improve on, it was to be our perpetual lodestar, if we were not to be trapped in particularistic thought that could have no good results for anyone. True, Allan Bloom had rung the alarm bells not long ago over the new conformity, but we felt sure that intellectual prowess would reign supreme in the end. Shivani defines the Enlightenment Period by the values at which it ultimately arrived: “peace, democracy and universal rights.” I agree, but what Shivani misses is that those Enlightenment ideals came as a result of an objective search for truth; those ideals did not precede it. 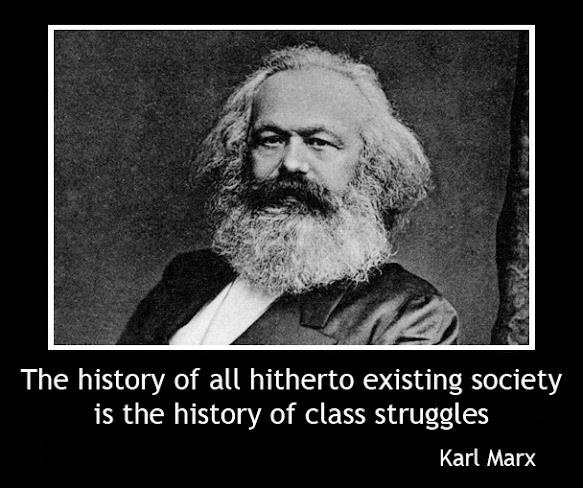 People today who embrace all powerful government and socialist economics as societal goods capable of delivering “peace, democracy and universal rights” have to deliberately ignore the last century of history. Doing so is wholly in opposition to the single most fundamental Enlightenment ideal, the objective search for truth. When that happens, you shoot for Utopia and end up with Venezuela, Cuba, Nazi Germany, the Soviet Union and Cambodia. But let’s leave that aside, as at least Shavini embraces the concept of the Enlightenment, even if he fails in its application. That is exponentially better than today’s progressive left who explicitly eschew the Enlightenment, embracing in its stead Foucault and post-modernism, substituting their fact free narratives for objective truth. Shavini begins his criticism of identity politics by describing it as a “pernicious ideology.” He raises five points, his first being that identity politics is aimed at achieving moral and cultural victories, not political victories. That might seem a wise strategy, since, as Andrew Breitbart opined, “politics is downstream from culture.” True enough if you win the culture wars. But the 2016 election showed that enough Americans in enough states simply are not buying into the cultural values of identity politics, with that being disastrous for the left. Shavini notes that reality, but blames it on progressives turning away from an emphasis on Marxist wealth redistribution. What could be a greater indictment of identity politics than the utter hollowing-out of the Democratic Party, its rank electoral defeat at every level of government, . . . The result is the evisceration of the Democrats as a party with even a rhetorical claim to the working class, as it has become a club for egotistical, self-branding urbanites who pay lip service to identity politics while having no sympathy for real wealth redistribution. . . .
Shivani also has choice words for Obama, concluding that “the color of his skin provided immunity from real criticism.” Very true indeed. More particularly, the color of Obama’s skin allowed him to get away with unconstitutional and extraconstituional actions that would have ended in impeachment for just about anyone else as President. Nixon had to be spinning in his grave as he contemplated what Obama got away with while in office.
. . . If [modern progressives] think of inequality, they think in terms of racial inequality as the fount of all inequality, not the concrete economic terms in which equality can be achieved. Partly this is because of the institutional context in which modern identity-politics warriors operate; for them to ask for economic equality aside from identity would be to challenge the core of the institutions that patronize and legitimize them. Identity politics, it should be noted, is not an outsider’s movement; it is the ultimate insider’s game. . . .
That is a brilliant analysis. Thomas Sowell for one has written tomes on how blacks were achieving parity through economic gains in the early half of the 20th century, until early progressives sought to blunt their gains with minimum wage and other laws, then later progressives sought to put them on the government dole. And identity politics truly is an “insider’s game.” It is not grass roots; rather, it is embraced by the progressive left through government and academia in order to keep blacks and other minorities voting as a block. It is the foundation of prog political power. Indeed, one could argue that without identity politics and blacks in particular voting at a rate of 90% for the progressive left, the progressives would never win another election. That nuance, though, seems to be lost on Mr. Shivani. Shivani’s third point is that “identity politics always breeds its equal and opposite reaction.” It could, but it has not yet. What it has bred is anger by people who are not racist or misogynistic being told that if they do not buy into prog victimhood narratives, then in fact they are irredeemably “____-ist” and “deplorable.” But that is not “white nationalism,” nor does it foreshadow whites signing up as a block for the KKK. Liberals have been on a relentless mission to transform people’s souls — to rid them of impure ideas about race and sexuality . . .
. . . Whenever a misguided movement tries to alter people’s thoughts and intentions, rather than limiting itself to people’s performance and action in the transparent democratic arena, then totalitarianism is the necessary result. Even when we dream of an anarchist utopia, we do not try to alter people’s souls, we aim to alter economic arrangements in such a way as to allow people the maximum possible room for freedom. We cannot be readers and interpreters of people’s hearts and minds; such a venture has no business in politics. [Progressives] are rhetorically dedicated to pursuing a goal which can never be realized in practice, i.e., the complete self-realization of each identity. This should be evident across many different dimensions. The more a particular group becomes validated in the broader culture’s eyes, the less it feels satisfied with the recognition, and the more it feels it needs more of that rush of acknowledgment and credit based on identity alone. There is no end to it. . . . Identity politics was conceived and executed from the beginning as a movement of depoliticization [from socio-economic concerns]. Feminism has become severed from class considerations, so that for the most part it has become a reflection of what liberal identitarians themselves like to call “white privilege.” Feminism, like the other identity politics of the moment, is cut off from solidarity with the rest of the world, or if it deals with the rest of the world can only do so on terms that must not invalidate the American version of identity politics. For example, because all identities are equally sacrosanct, we must not critique other cultures from an Enlightenment perspective; to each his own, and race is destiny, etc. . . .
Or, in other words, that the end result of identity politics is balkanization of our society into groups that cannot coexist and that operate on emotional narratives, not rational fact. Shivani concludes by likening this situation to “the indoctrination in Soviet Russia in the 1930s,” one that can only end when some “catastrophe . . . lays waste to everything.” I would posit that the “catastrophe” of which Shivani speaks would not be external. It would come about internally, should a true believer in identity politics ever take power in this country. I never thought I would have points of agreement with a true Marxist. Live and learn.